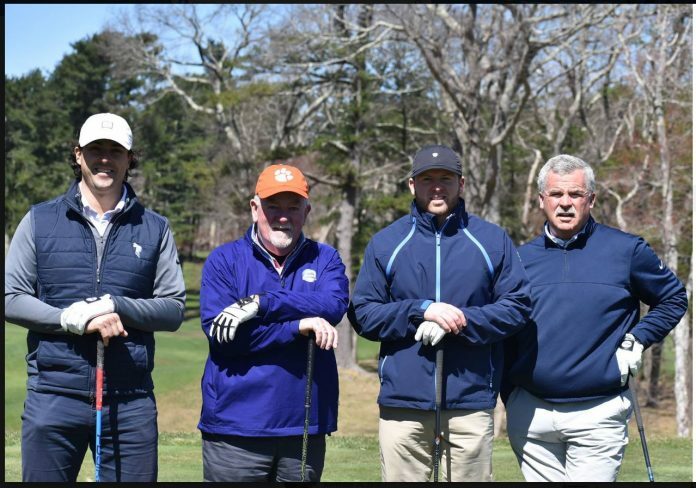 The first official New England PGA Tournament of the year - the NEPGA Marshfield Pro-Am - was held April 16 with the winning team of Cris Poli, Rusty Gunnarson, Dave Pierce, Jr., and Dave Pierce shooting an 8-under par at Marshfield Country Club. MARSHFIELD, Mass. – With fierce wind ripping through Marshfield Country Club throughout the day, Rusty Gunnarson, PGA, (Rochester GC) and amateur partners Dave Pierce, David Pierce Jr., and Cris Poli birdied the final two holes as a team to post 8-under par and win the New England PGA Marshfield Pro-Am on Tuesday as the NEPGA Tournament season officially kicked off. The group finished two strokes ahead of Brendon Ray (Point Judith CC) and Brian Moskevich’s (Manchester CC) teams, which both posted 6-under par. 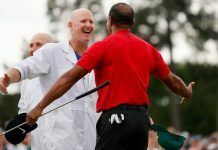 Ray, along with partners Brian Ray, Alex Stimpson and Ray DiCarlo, bogeyed two of the first three holes as a team before playing their final 15 holes in 8-under par. Moskevich and amateurs Brent Boucher, Kyle Wallace and Colby Boppel shot 6-under par on the front nine and played the back in even-par to tie for second. Amateur Mike Arsenault won the amateur long-drive challenge, which was made possible by Evolve Golf. Arsenault played in the group with Jim Fairbanks, PGA, of Nonesuch River GC. Ray, Moskevich and Fairbanks tied atop the individual professional competition, each shooting 4-over par 74. Fairbanks was 2-under after birdies on the first and fourth holes but ran into trouble in the middle of the round, including a double-bogey on hole 10, before bouncing back with a birdie on the 11th and eventually posting 74. Moskevich made bookend birdies on the back-nine and shot 37 on each side while Ray made his lone birdie on the par-5 fourth hole and added a dozen pars on the day. 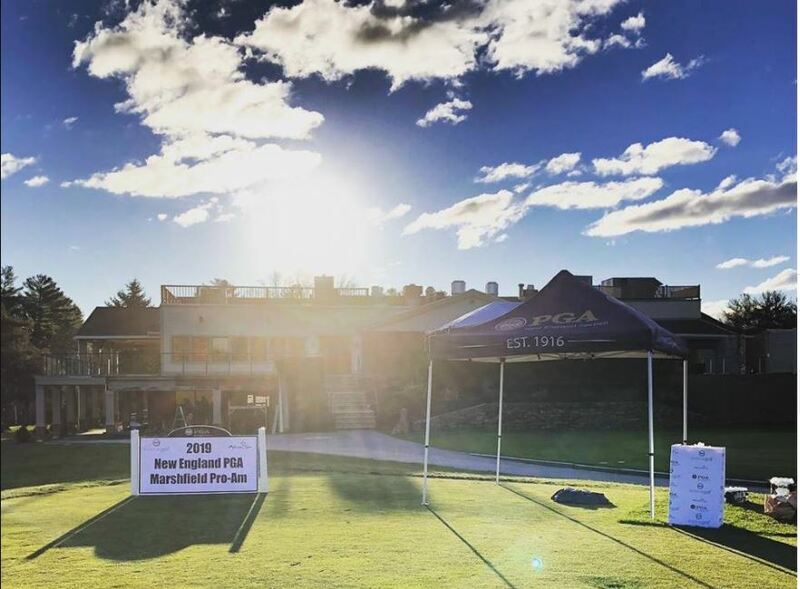 Marshfield Country Club hosted the first New England PGA event of the 2019 season on Tuesday April 16 with a combined field of over 100 pros and amateurs participating. New England.Golf is a digital marketing platform which highlights the best of golf in this six-state region. Our content is a mix of original features and quick-hit reviews, along with aggregation, syndication, and curation. 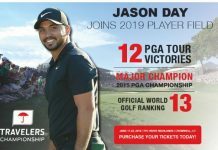 © Copyright 2018 New England dot Golf. All Rights Reserved. Published by Gorman Associates, LLC.